The upcoming retirement of Chief Justice Beverley McLachlin of the Supreme Court of Canada is expected to signal the start of a new selection process by Prime Minister Justin Trudeau to fill the vacant position. The 73-year-old judge announced her retirement today after serving 28 years on the Supreme Court, making her Canada’s longest-serving Chief Justice. She will retire at the end of the year on December 15. 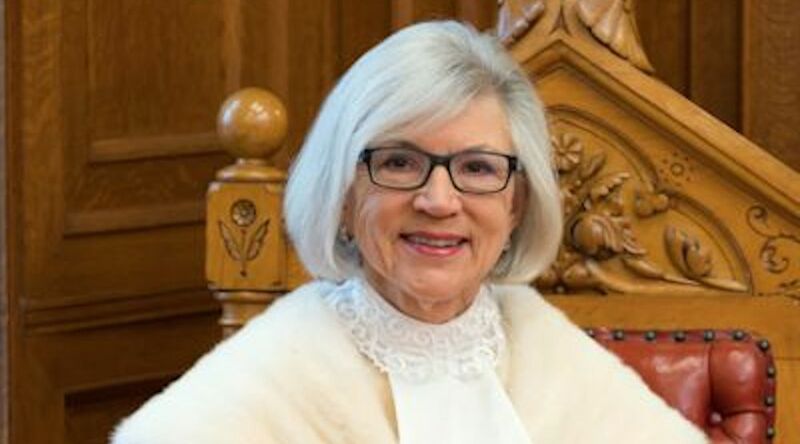 McLachlin was appointed as a judge of the Supreme Court of Canada in 1989, and elevated to Chief Justice in 2000, becoming the first woman to hold the position. “Chief Justice McLachlin’s judicial accomplishments are unparalleled in Canadian history. She has been a judicial leader and trailblazer for almost four decades,” said Trudeau. Her judicial career first began in 1981 when she was appointed to the Vancouver County Court. Later that year, she was appointed to the Supreme Court of British Columbia. Then in 1985, she became a judge in the Court of Appeal for British Columbia and was promoted three years later to Chief Justice of the Supreme Court of British Columbia. She also serves as the chair of the Canadian Judicial Council, chair of the National Judicial Institute, and chair of the Advisory Council of the Order of Canada. Following Supreme Court rules, McLachlin will have the ability to continue to participate in judgments for cases she has heard prior to retiring for up to six months following her retirement. Six of the nine current judges on the Supreme Court of Canada were appointed during the Conservative Party’s tenure under former Prime Minister Stephen Harper. The vacancy left by McLachlin will provide Trudeau with his second appointment to the court. In October 2016, Trudeau appointed Newfoundland judge Malcolm Rowe, replacing retired judge Thomas Cromwell of Nova Scotia.